Summer is here and over the next few weeks a lot of yoga teachers will be taking a well earned break from weekly classes. For many, this signals the end of yoga practice until September – but it doesn’t have to be like that. 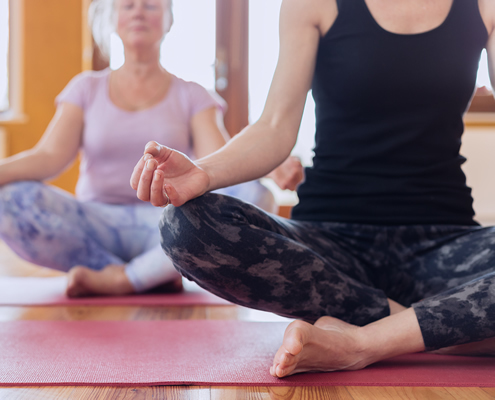 You can bring yoga into your life – with your mat on the kitchen floor or in the garden – very easily. In chatting with my students, I tell them there are key ‘blocks’ in mindset and plenty of excuses for not getting on the mat. 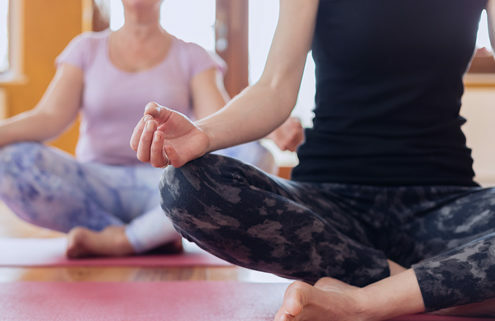 The main thing to know if that you’re not alone, and here’s how to overcome the block and help stay connected to your practice and chilled for the summer. The narrative that I hear most frequently is “I can’t”. It is usually accompanied by, “I don’t know what to do”, “I don’t have the time!”, “I’m hungry”, “my yoga pants are in the wash”.. and while they may appear like issues for sure, they can be overcome. How about turning the “I can’t” into an “I can”. For example, if your block is that you don’t know what to do, then write out what you do know. There are lots of poses that are repeatedly practiced in most yoga classes and you do know them. By writing them out and perhaps even making stick figure shapes of the poses you immediately empower yourself to practice what you know. If that still feels challenging then get a book or ask your yoga teacher for a simple practice plan that you can have by your mat. If you wait until it is the perfect time for practice, like the house is clean, the children are asleep, you have sent that email, rang your mum etc. then you will always be waiting. Right NOW is the time. All you need is a clear space (grass, beach) and your mat. Ten minutes is better than no practice and you will find that time opens up once you get to the mat. Even if the kids are around you can make the practice fun and allow them to mimic you! Check out You Tube for free classes that you can avail of. Another option would be to join an online studio – there are lots of them out there with great teachers offering all types of yoga classes. Usually there is a monthly fee but most of them offer a free trial. You could sign up and let the months trial fill in the summer gap. You might decide to stay registered but if you don’t want to pay make sure you unsubscribe before the month is up. Check out summer workshops and festivals near you or join us for some of our summer yoga programme. You will be truly inspired by Noah Maze who is here August 9th – 12th for his Heroic Heart workshop. 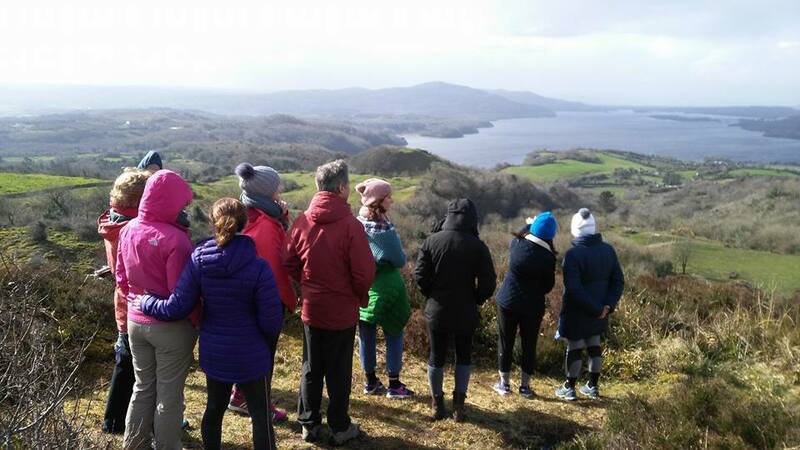 For a more immersive experience, you could join us for all or part of the upcoming Anusara Teacher Training – the first of it’s kind in Ireland – taking place August 18th – September 13th. Lastly, enjoy your practice. Stop judging whether you are ‘good’ at it, if you are doing it right or wrong. Just do it. One thing I can guarantee you is that you will always feel freer, calmer and more able for life if you practice. Love every moment. 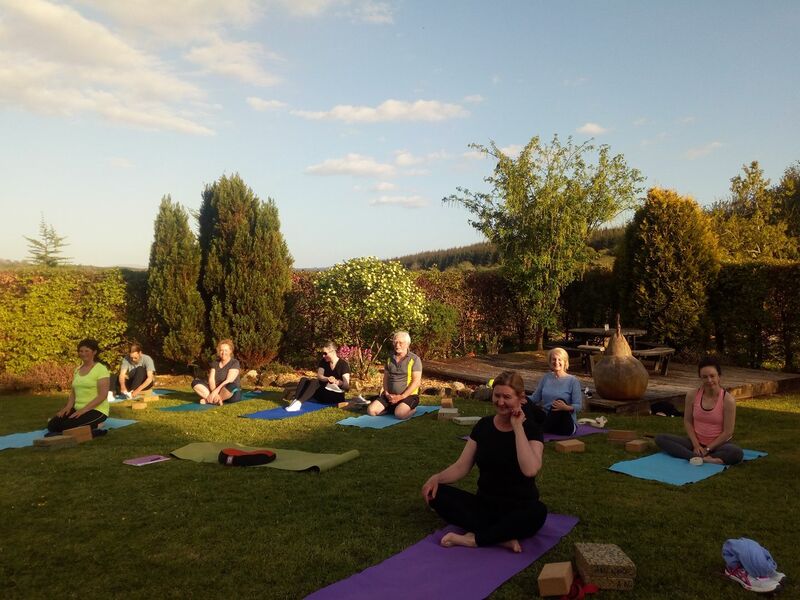 Spring into Summer IS YOGA TEACHING FOR YOU?